Korg's acclaimed cylindrical speaker has been further enhanced with an improved resonator structure to ensure that it's easily heard. 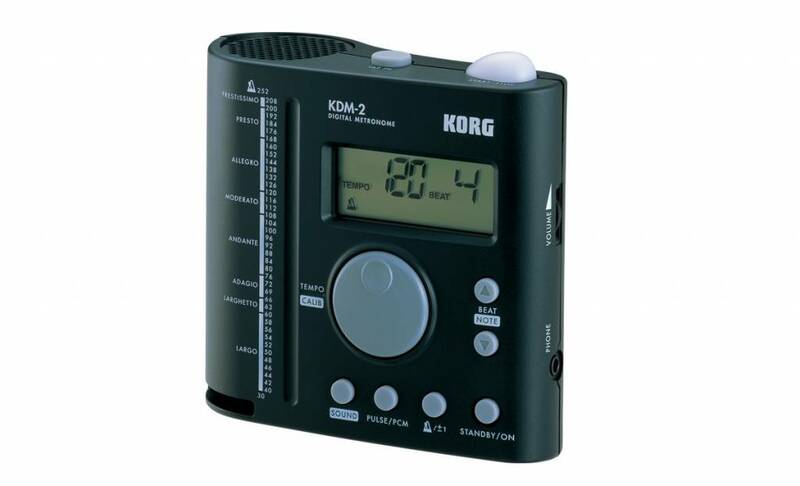 Even loud instruments won't overpower its unmistakable, clear sound. 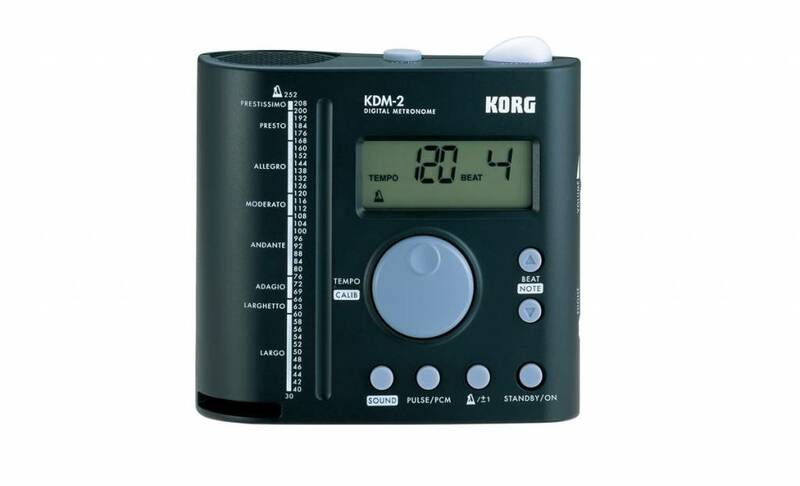 And with the KDM-2 you have a choice of 3 different PCM sounds (cowbell/agogo/clave) for the beat, so you can choose the sound that compliments the instrument you're playing. The volume can also be adjusted to the most appropriate level. Since there's a PHONE jack, you can connect a mini-plug (1/8") earphone for private practice. 106.0 x 48.5 x 106.5 mm / 4.17" x 1.91" x 4.19"
Four AAA alkaline batteries for verifying operation.